People from all around the world know about Washington, DC. They talk about it, write about it, draw it, and make movies and TV shows about it. But almost always, we hear only the opinions and ideas of adults. 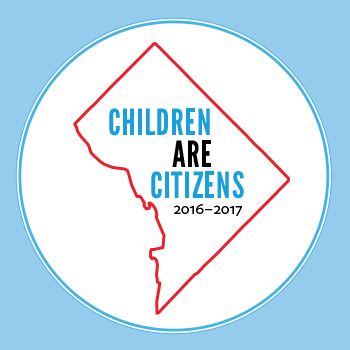 For this book we invited some of our youngest citizens—preschoolers, kindergartners, and first graders from DC Bilingual Public Charter School, Sacred Heart School, Seaton Elementary School (DCPS), E.W. Stokes Community Freedom Public Charter School, Sunshine Early Learning Center, and J.O. Wilson Elementary School (DCPS)—to tell us what they think of our city. We asked them to share their ideas in order to help other children (and adults) learn about what is important about DC. We asked their teachers to help students research the city and discuss their ideas with classmates and children from the other schools. Each teacher guided the children in different ways. The result is Washington, DC: "What People Like Most is in This Book!,” a title suggested by the children that conveys their connection to their city. In this book you will find a set of descriptions, theories, and stories—shared in pictures, words, and photographs—that are thoughtful, informative, and sometimes surprising. As Sergio Spaggiari, a veteran educator from Reggio Emilia, Italy, notes, "It seems that for cities to be understood and appreciated, they should be talked about in stories." You can learn a lot about our city from the stories in this book. Use the resource links on the right to view the full book.